Since a first workshop held during the Blockupy festival in November 2014, the project of a transnational social strike began to circulate in various European networks, collectives, trade unions and organizations. The banner for a transnational social strike and claims regarding wages, welfare and freedom of movement started to circulate already on March 18 during the big Blockupy demonstration flooded Frankfurt. After a large assembly on the 19th of March, last October in Poznan more than 150 people came together sharing the need of a new strategical perspective in order to connect politically what exploitation and borders divide. If Europe is a space criss-crossed by differences and marked by austerity, precarity, transnational chains of exploitation and migrant labour, what we need is to reinvent and to connect the struggles on wage, on welfare and on the freedom of movement. During the meeting, strike has emerged as a political practice and a tool of struggle to be re-appropriated and rescaled against the changing power relations inside working places and society. After the summer of blackmails against Greece and of migrants, the Transnational Social Strike platform launched a day of decentralized and coordinated actions and strikes’ experiments against borders and precarization for the 1st of March 2016, “24h without us”. 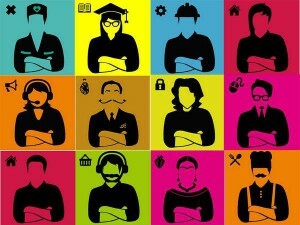 The 1st of March is conceived as a first step to start the process towards a real transnational social strike. Many realities from several European countries including Poland, Germany, Italy, France, Greece, UK and Sweden are already organizing for the day. The coordination in Berlin will be the first chance to meet physically after the meeting in Poznan, to discuss together the mobilization towards the 1st of March and the next step of the process, including the idea of a second, larger, transnational meeting before summer. The environment of Blockupy is a natural one for the Transnational Strike platform, as many of the people and groups that are part of the process are also part in Blockupy, and since the idea of a transnational social strike is connected with the political issues that lead many of us in the streets of Frankfurt. The Transnational Social Strike Platform is not a collective nor a coordination among the proposing groups, but a political open process that involves groups, workers and unions across Europe and beyond towards a common goal. You are very welcome to participate in the meeting in Berlin and join the process towards the 1st of March and beyond.